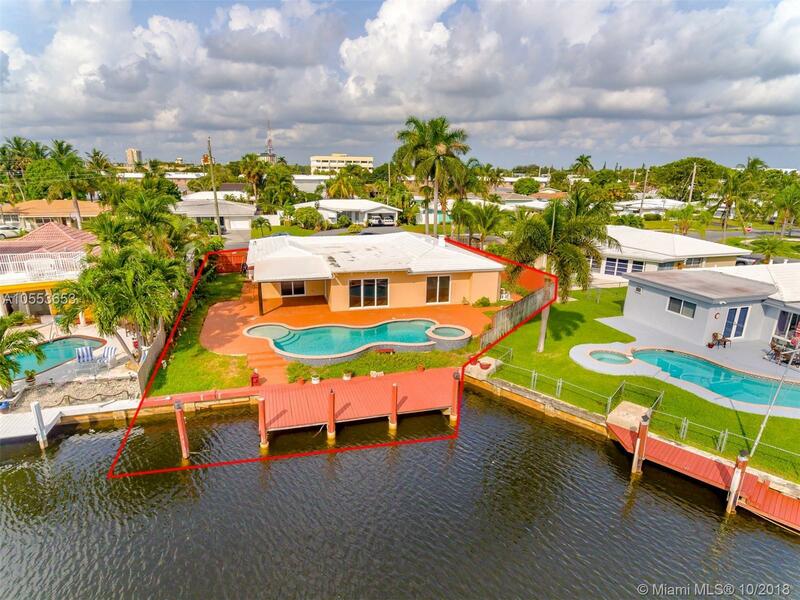 TROPICAL PARADISE HOME IS ON THE MOST BEAUTIFUL WATERFRONT LOT WITH OPEN WATER VIEWS. SPECTACULAR NEWLY REMODELED OCEAN ACCESS 3 bedroom 2 bath SPACIOUS (2,222SQ.FT) HOUSE WITH OPEN FLOOR PLAN. BEAUTIFUL NEW KITCHEN WITH TOP OF A LINE QUARTZ COUNTERTOPS AND STAINLESS-STEEL SAMSUNG APPLIANCES. REMODELED BATHROOMS. BRAND NEW AIR CONDITIONER. IMPACT WINDOWS. RENOVATED BACKYARD PARADISE WITH AN OVERSIZED HEATED POOL & JACUZZI FACING THE CANAL. 2 LARGE CAR GARAGE. NATURAL GAS. PLENTY OF SPACE FOR ENTERTAINMENT. WON’T STAY LONG!